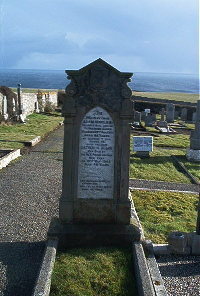 Adam Sinclair died at Market Place Dunbeath 29th November 1936 aged 86 . Wife Catherine Olson died at the old police station Dunbeath 21st May 1949 aged 98. Thy purpose Lord we can not see but all is well that's done by thee.